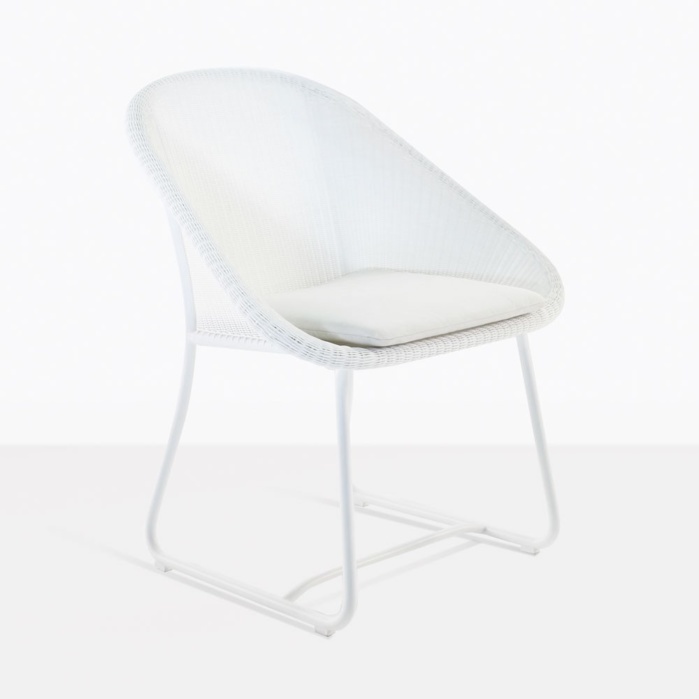 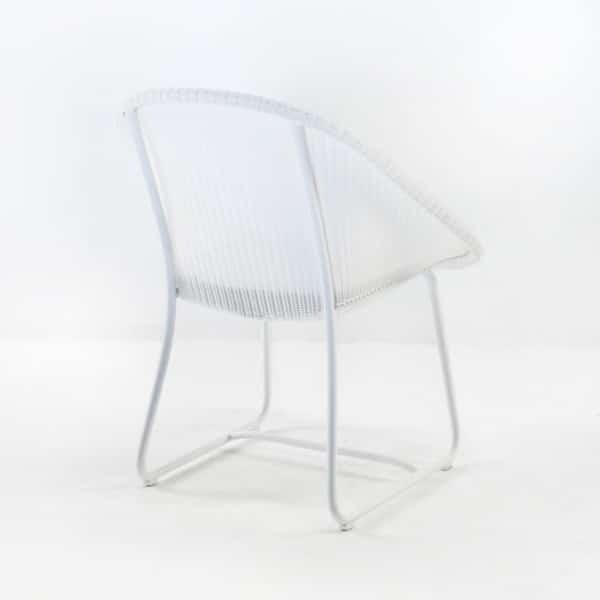 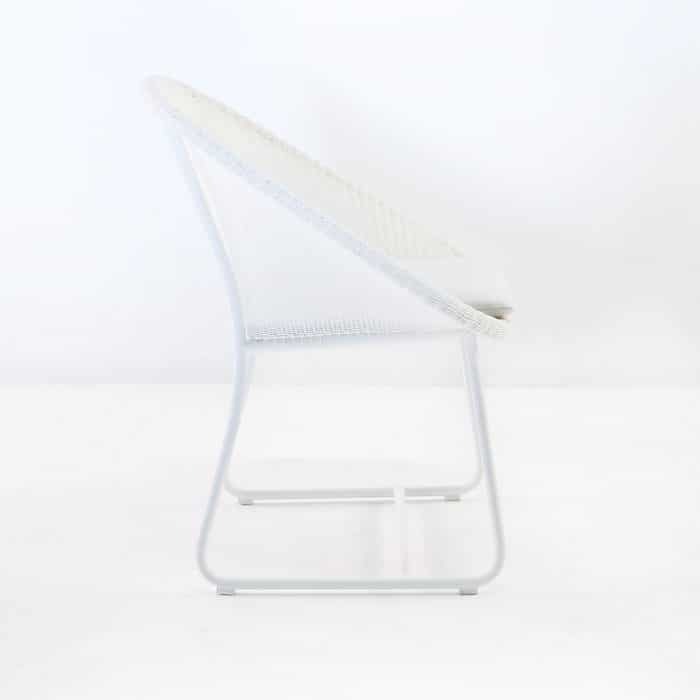 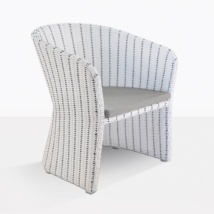 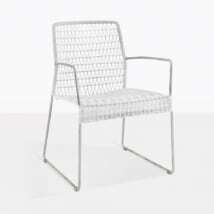 The Breeze Outdoor Dining Arm Chair is a gorgeous dining chair made of Ecolene® White Synthetic outdoor wicker and white powder coated aluminum. 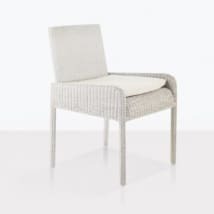 Dining height makes this chair perfect for any standard dining table; the color works perfectly with so many different materials and styles. Ecolene®is a long-lasting synthetic outdoor wicker made for full time outdoor use, and through-dyed for color retention over time. 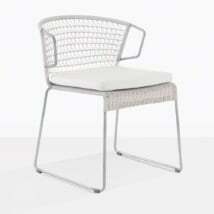 long story short: Ecolene® outdoor wicker chairs will look good for a long time outdoors and represent an excellent value for outdoor dining or relaxing. W29" x D26" x H35"